Accelerating peoples’ adoption, utilization, and proficiency in the new ways of working. Helping people transition through the period of change, both individually and collectively. Identifying and enabling the desired behavior changes needed to achieve results. Helping our clients build their internal change management capabilities. 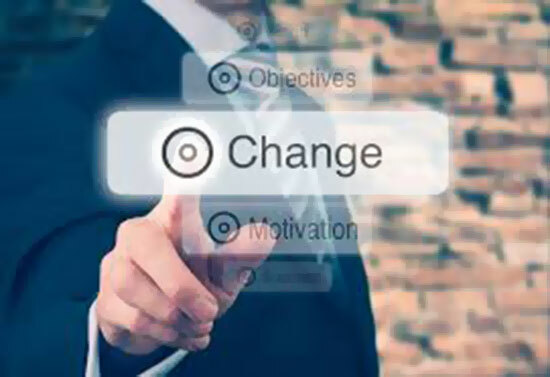 In recognition of the importance of leadership in managing change, what sets our Organizational Change Management capability apart from the competition? Client Ownership: We empower clients to own and manage their change process. Experience: Our change management consultants average 12 years of experience, allowing us to proactively identify and address commonly encountered risks. Practical Solutions: We provide field-tested and data-driven solutions to complex challenges. Identifying important players and influencers and personalizing an approach to gain buy-in and/or advocacy. Developing “marketing” programs to create excitement and help people understand the benefits/advantages of a change. Preparing evidence supporting the beneficial results of an initiative, or demonstrating that certain concerns can be effectively addressed. Flexing to new challenges and above all persisting even after you think buy-in is complete (when it often is not). While the “carrot” is usually a preferred approach, having a “stick” – i.e. negative consequences for opposing or failing to adopt new procedures – is usually essential to solidify change over the long term.